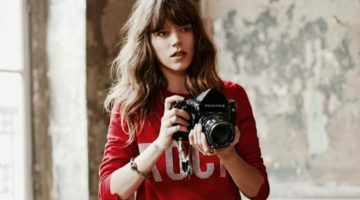 22-year-old model, Louisa Warwick, is the current model-of-the-moment, originating from Winchester, Hampshire. Now based in The Big Apple, Warwick is the perfect example of how self-belief, dedication, and hard-work can get you anywhere in life that you can only dream to go. With brains as well as beauty, Louisa attended Marlborough College to do her A-Levels, until she made her first public appearance as a model on the hit TV show ‘Britain & Ireland’s Next Top Model’ at the age of 18 shortly after- and she hasn’t looked back since! 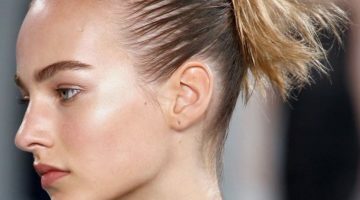 5 years later, the blond beauty already has some astounding achievements under her belt, such as featuring in campaigns of our favourite brands like Calvin Klein, L’Oreal Paris and TRESemmé. However modelling hasn’t always been the main focus of her life, as in her teenage years, Louisa was competing in national cross country competitions, earning the position of reigning champion in South-West England for two years in a row. Warwick discovered her love for the sport as youthful age of 13, and also took part in the steeplechase and 3000m track running. Currently, Louisa, who’s turning 23-years-old next month, is studying Sports Management at New York University, which involves learning how to lead and promote sports organizations, as well as gaining knowledge across various business sectors, such as merchandising, finance and marketing. Warwick chose the course because she’s “grown up around sports”, and is currently preparing to enter her final year. Due to her athletic background, Louisa has always been committed to a healthy lifestyle, and ensures she eats “three full meals a day”. Warwick states that she prefers to eat a “cooked meal” for breakfast, some type of fish with salad for lunch, but mixes up dinner to provide differentiation and a well-rounded diet. Furthermore, Louisa takes daily Biotin and Iron supplements, and is devoted to working out 4 times a week by going for long runs around Central Park, going to the gym, or attending exercise classes. Louisa is also known for playing a supporting role in the smash movie ‘Rush’ featuring Chris Hemsworth, and states it was “very exciting” to be a part of a highly successful film. 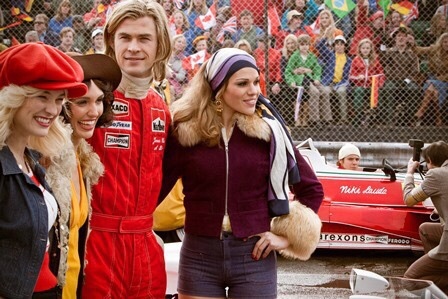 The movie is based around characters James Hunt (Hemsworth) and Niki Lauda (Daniel Brühl), and their shared rivalry in F1 racing. Unsurprisingly, Louisa has a substantial passion for fashion, stating that she loves designers such as “Balmain, Saint Laurent and DSquared” but also pays an extensive amount of attention to her favourite high street stores like “Topshop and River Island”. When asked how she would describe her style, Warwick chooses “chic, sophisticated and cute”, of which perfectly fits her glamorous-girl-next-door look. The blond bombshell also states her main style icon is successful fashion designer Georgina Chapman, the co-founder of international label ‘Marchesa’, simply because she “carries herself with such style and grace”. However, when she’s in need of a break from her hectic schedule, Warwick enjoys to “visit art galleries, work out, travel, and hangout with friends” during her downtime. Louisa is often spotted in New York’s hot-spots with her friends Mara Teigen and Jocelyn Chew, who are also models, spreading their glamour and charming personalities across social media. To conclude, Louisa Warwick is a highly influential public figure, and it’s safe to say that she takes her role extremely seriously. Louisa is an ideal example that age really is just a number, and that you’re accomplishments are only limited by the size of your dreams. Thank you to Louisa for taking the time to answer my questions!